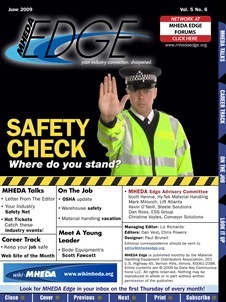 They talk to a couple of safety professionals about safety in their particular area of the industry. There is an article about warehouse safety, especially as it relates to racking. It is great to see more organizations that are becoming aware of, and promoting the importance of work place safety. Read the complete article here. We have an entire section of our site that is dedicated to focusing on manufacturing safety. We offer a number of solutions that help keep workers safety while employed in the warehouse environment.